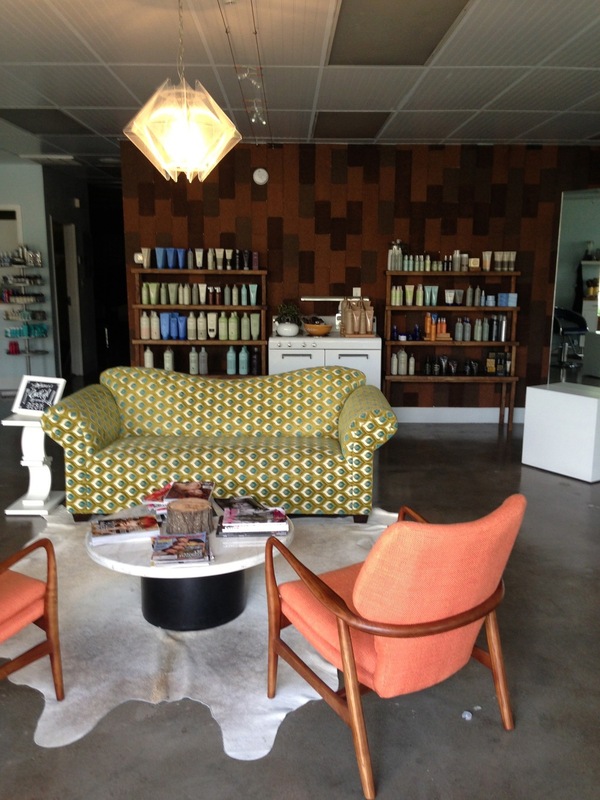 Inspired by 1960's kitchen aesthetic, this hair salon in midtown Nashville chose elements of mod design and contemporary visuals to create a stunning atmosphere. The sign is made of wood slats with a pale blue painted logo and lettering. 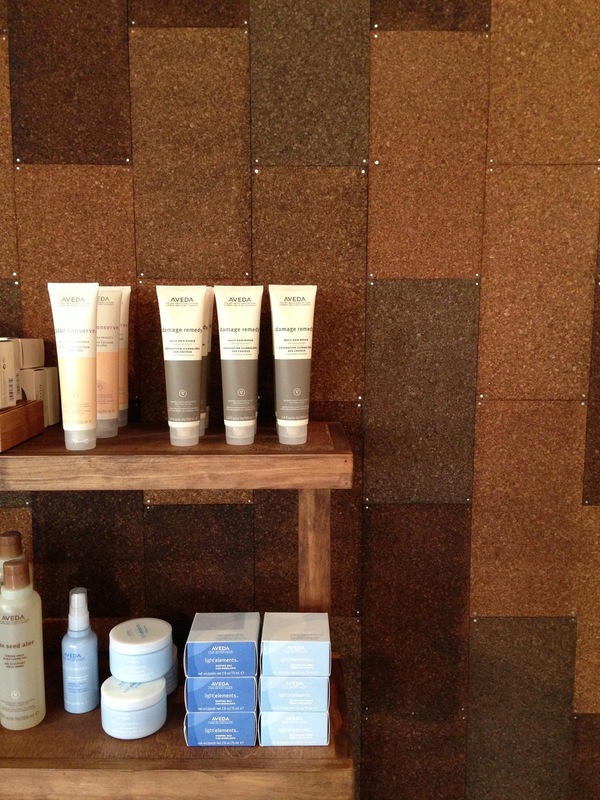 Interior wall treatments include stained cork tiles in the front room and mint green bowls on a chocolate brown wall.